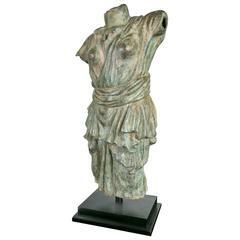 Classical Roman female dancing torso sculpture in resin imitating marble on an iron pedestal. Top quality antique imitation of the erosion and passing of time. 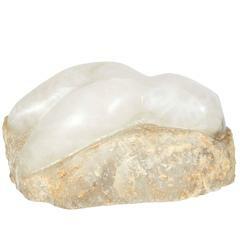 Classical Roman torso in resin imitating marble on iron pedestal. Classical hand carved white marble bust of a woman wearing Greek period dress and a laurel wreath. Classical hand carved white marble female bust with black marble base. A mercury resin female torso, 1960s. Set upon a two stepped black base. The bronze having a green/brown patina. The torso wearing a sashed at the waist garment. Measurements refer to the base. 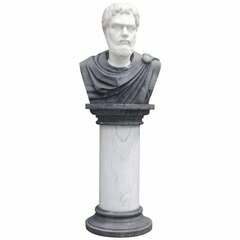 Italian carved marble Roman bust of Publius Aelius Hadrianus on marble pedestal. Dealers please call for trade price.